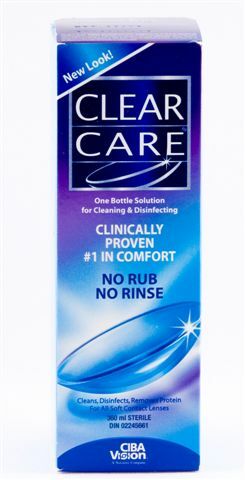 Clear Care one bottle solution for cleaning and disinfecting is a convenient and highly effective system for simultaneous cleaning, daily protein removal, and disinfecting of soft lenses as recommended by your eye care professional. Do not use flat lens case. Clear Care only works with the special lens case provided.